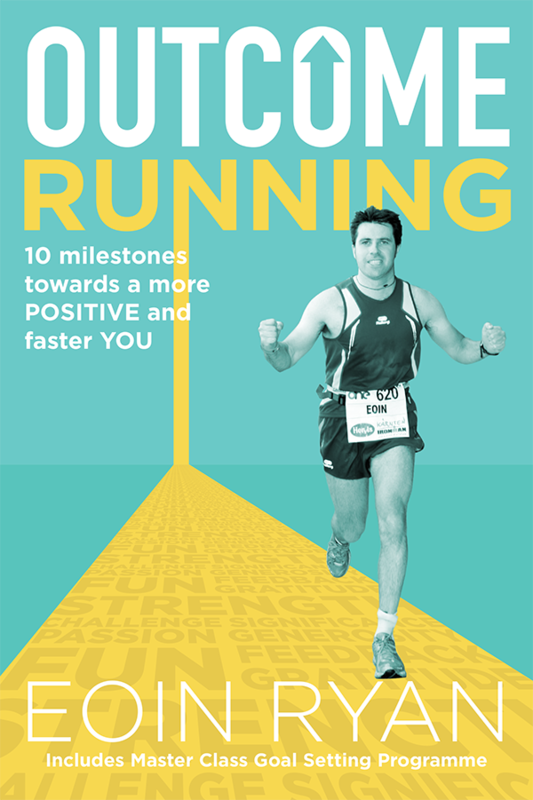 Outcome Running combines two areas that Eoin has extensive knowledge in – Running & Positivity. 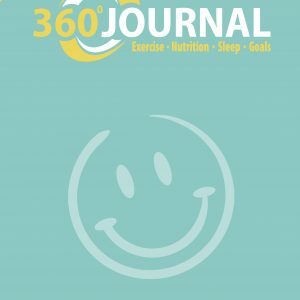 Outcome Running is self-help learned through exercise. Did you know the feelings we experience derive from our thoughts and reverberate through our bodies? Change your thoughts and habits and you will change how you feel about yourself. Outcome Running demonstrates how we can incorporate the positive experiences we gain from running into our everyday lives. Running/jogging/walking are the easiest and most accessible introductions to exercise. When we are enjoying ourselves, we are more open to learning and absorbing information. Most self-help books recommend exercise. Outcome Running uses exercise as the basis for creating greater positivity in your life. 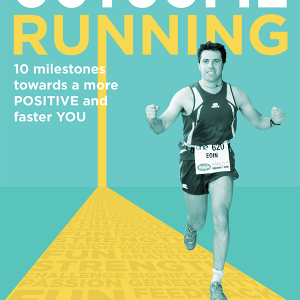 The ten milestones in Outcome Running will bring you on a journey towards greater positivity and better running. The book also includes a master-class goal-setting system designed by award-winning peak performance coach, Eoin Ryan. He also shares the running wisdom gained from completing the Marathon des Sables (the world’s toughest race), the Ironman and multiple ultra-marathons. “Outcome Running” is a super book. It’s full of ideas, tips and reminders of what’s important and where we need to be focused to achieve what we want or be who we want to be. 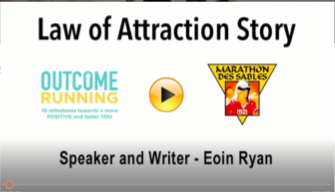 The ten milestones are cleverly connected to the activity of running which means Eoin is working on our bodies as well as our minds. A great read. This is an enjoyable and easy read! It’s not just another book about running because it applies just as much to life and achieving results in everything you do. Jim Kirwan, author of The eXercise Factor, Inspirational Speaker, Coach and Wellbeing Consultant. I’ve gotten to know Eoin over the last couple of years through running. He’s been there and done that, so when I got the chance to read his new book, I was only delighted to get inside the head of such an accomplished runner. I took so much from the book and I will use it time and again for reference when I need to refocus myself on my goals. A great read and a book you will read time and again. I finished this book in one sitting, it’s a great read that combines life coaching and running tips with humorous anecdotes and observations. Not just for runners! Fantastically uplifting book, with nuggets to help keep your mind, life and business on the right track. I’m not a big reader I must confess but I really enjoyed this book. Some super tips for running but also for your outlook on things in general. I really enjoyed “Outcome Running”. 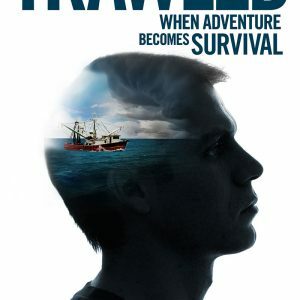 Full of valuable insights, lessons learned, and positivity, it gave me a fresh new way to look at things. Unlike much of the technical material that I’ve found and been confused by on the internet, Outcome Running is a very human book that’s instantly useful whether you’re thinking of buying your first pair of runners or getting ready for a marathon. And when you read Eoin’s own stories you’ll know that he’s gone through it all himself. Thanks Eoin.